Shopping is always fun. 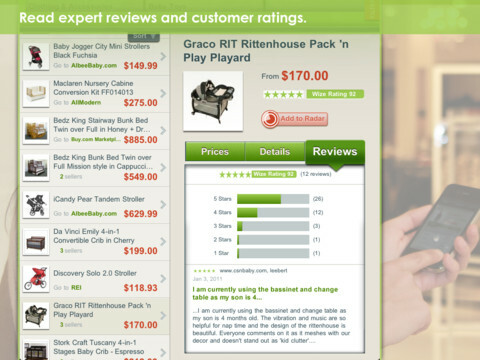 It is even more fun with gadgets and apps that can enhance your shopping experience. Apple has helped put so many resources at our fingertips. These resources help build on an already incredible shopping experience while you shop with your trusty iPad! We present the best 10 apps that can make your shopping experience better. Shopping always begins when you need to buy something. Every time there is a need for you to buy a certain item, it would be best to put it in a list that you won’t forget. Thankfully you never forget to bring your iPad, as such; it is a great place to pop in those shopping items you don’t want to forget about. The best part about Grocery List Free, is the ability to create group accounts. You can create and share your list. Remember the time when your mom would split a list of shopping items and send you on your way to gather what is on your list? This works in the same way as that piece of paper. The best part is that you can share that list wirelessly. Sharing an account with someone else also means you prevent any duplicates in the shopping list for the home. Once you have crossed it out, you prevent anyone else from buying the same stuff. Shopping has been revolutionized by the internet. Nextag has provided a tablet solution to virtual shopping by allowing you to browse the net for the things you want, and may want to buy! The amazing app allows you to explore the items in the stores before making your stop. This allows you to make a good list of things to buy or simply get an idea of what you want. The app also boasts a powerful item identification tool. You can use your iPad’s camera to take a snapshot of a certain item, and Nextag will identify it for you! 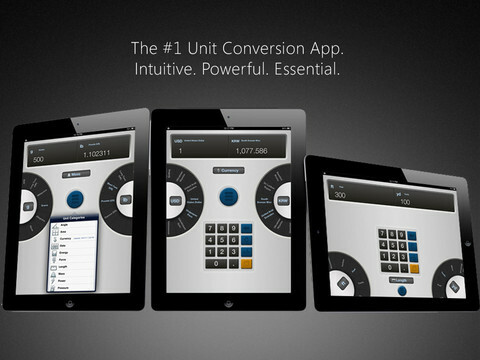 Not to be fooled by the simplicity of the naming of the app, one can expect a powerful tool useful in shopping. 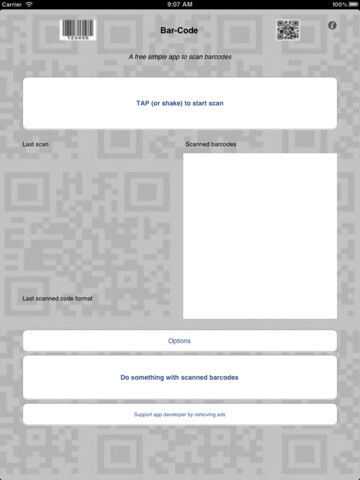 Bar-code allows users to scan and save bar codes and even QR codes, all in the same app. It allows you to search for the barcode or the QR code that you have scanned to find out more about the item and its potential prices. Saving the code and keeping track of it allows you to keep your own database of barcodes and subsequently share them. Shopping for dinner? See a list of ingredients at the grocery wondering what to make? Shopping for your meal has become even more intuitive and fun! Aside from providing an extensive list of possible choices for your kitchen meal, Bigoven provides you will a powerful tool of searching recipes by the available ingredients. You can look through what is available at the store and simply decide right there what to make, and what to buy for your recipe. 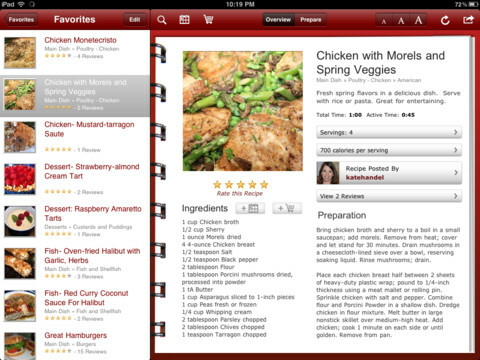 The app also provides a shopping list function so that you can shop for what you want when you find a dish you want to make. Shopping for some DIY? 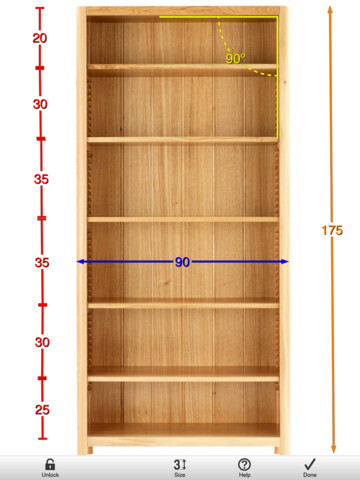 Measurements are very important in determining what you want to make and what you need to have when you make them. This handy tool allows you to visualize what you need and how much of it you might need. The tool is also used to measure sizes of items taken through your camera. Definitely something handy to take with you on that trip to the hardware store. Looking through some price tags during a sale? Are people too busy to assist you with your query about how much this item will cost minus that sale percentage? Calculate it yourself using this nifty tool! The Sale Savvy – discount, sale calculator provides you with a simple tool that computes for the total savings you will make during a purchase. This includes factoring in the tax and additional discounts that you may have for the things you will buy. It is certainly a handy addition to those shopping for sale items. The best things in life are free; next to the best are those that are on sale. It is a sale shopper’s dream to be alerted real time of any sales going on for them to bite on. iSlick provides you with an extensive array of deals, discount coupons, freebies and contests that a shopper may be interested in. 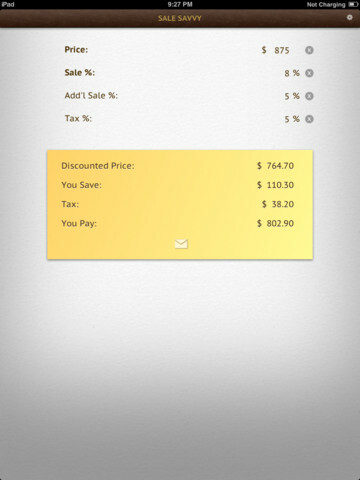 The app tracks down any news about discounts and sale and shows it in an easy to understand list. 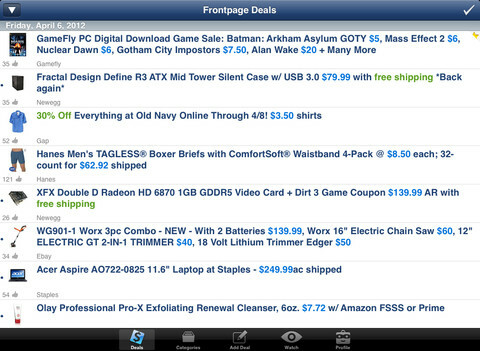 Shopping online has never been easier and more streamlined until this app came along. Sometimes, items on a store are just not measured the way we want or the way we are familiar with. We eventually would need to convert it to fully understand the amount we just need to buy. Rather than going through a calculator to manually convert, you can use this very simple and well designed app that converts measurements on the fly. The design takes full use of the screen real estate while providing a simple a fool proof interface to do what you need to do. Shopping while travelling? Exchange rates change rather frequently over time. One would need to keep track of the changes online or monitor money exchange stores for the latest updates. This is no longer the case with this handy tool that automatically converts your currencies at the most updated exchange rates provided by Yahoo!’s database. 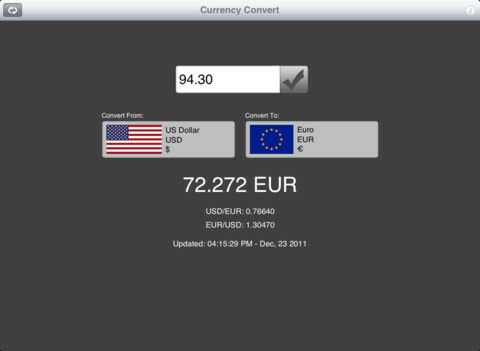 Get your purchases automatically converted to your currency for easy budgeting during a trip abroad. After all that shopping, one final concern is how much you have spent. Money management is very difficult in these troubled times, so it is very important to have your purchases monitored so that you will not overspend beyond your means. This is especially true to exclusive card shoppers where you have no access to the physical money to be able to budget on the fly. 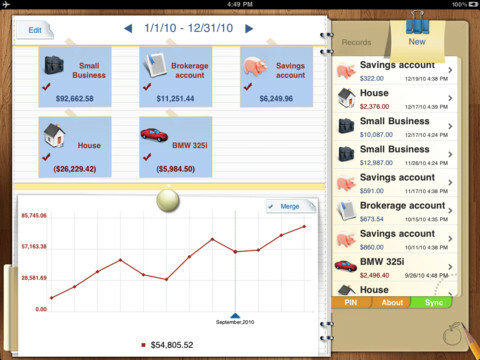 This app manages and monitors several accounts so that you know just how much more or less money you have. A handy graph also shows you your spending habits in a very easy to understand way. Shopping is always loads of fun especially when you have money to spare. Always remember to stick to the budget and follow your lists to prevent yourselves from over spending. With amazing tools at the palm of your hand, you shouldn’t go wrong.